The simple truth is that we cannot have everything. Too often we sell the idea, the dream that it is possible to have a little bit of everything and reach the ultimate state of perfect happiness. Sadly it just isn’t so. 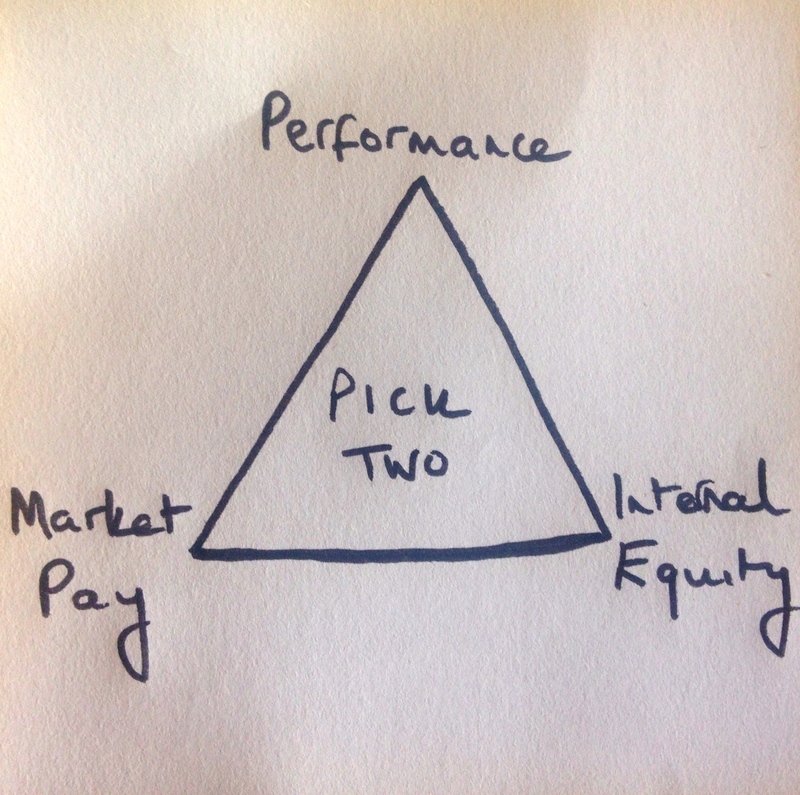 Somewhat coincidentally, the same diagram (with different choices) came up in a conversation I was having with the brilliantly clever Deborah Rees from Innecto. This time in relation to compensation (I paraphrase). 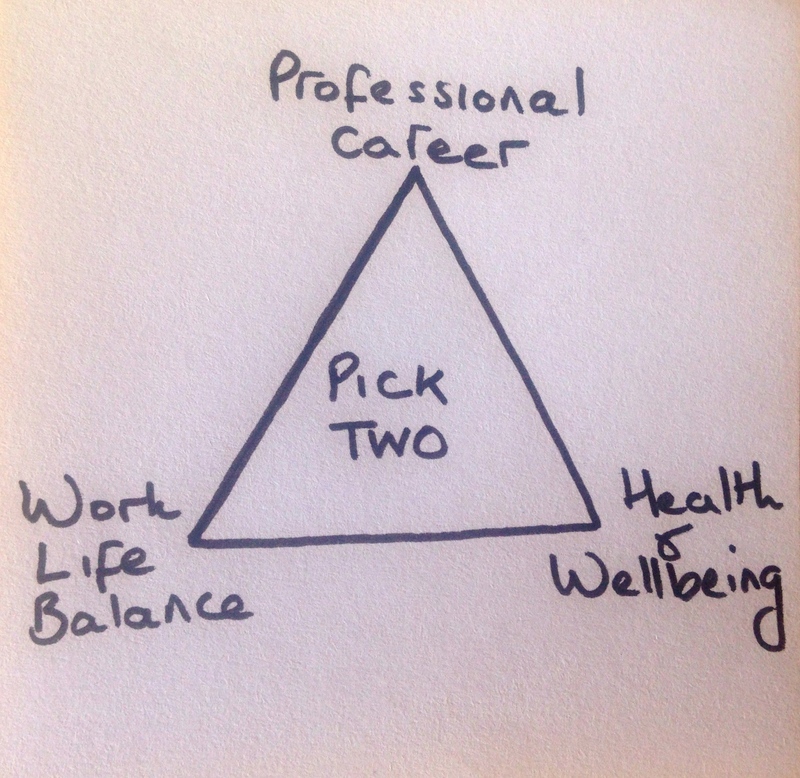 But the point isn’t one about work life balance. 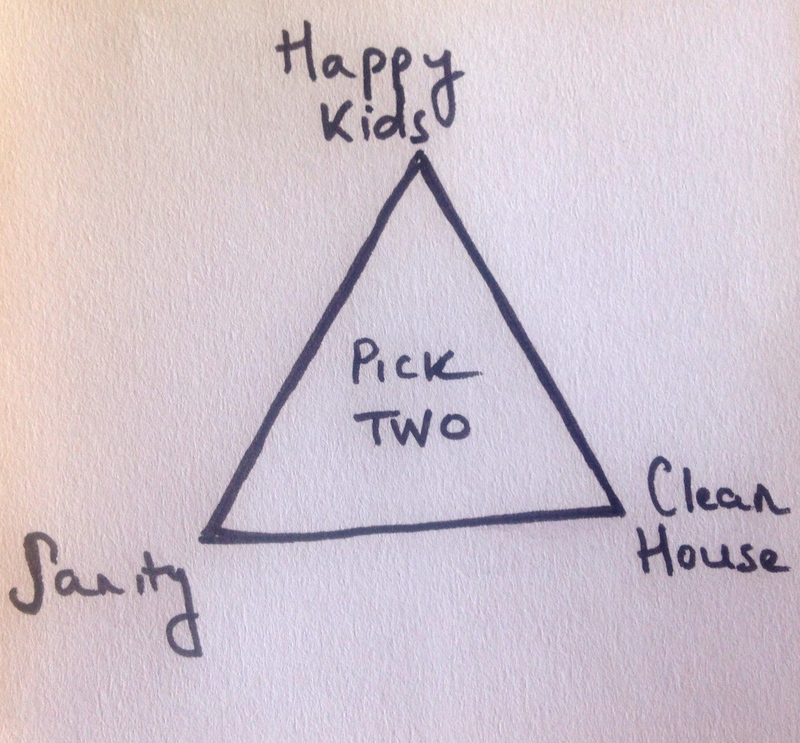 The point is that choice is about sacrifice as well as it is about selection. When we positively opt for one thing, we ultimately reject another. Whether we can accept this, that is our challenge. Too often we place the responsibility on others, the company we work for, the government that runs our country, our friends and family. To much of our organisational focus has historically been on trying to pretend that everything is possible and we can provide and fulfil employee needs on every level, even when they’re conflicting. That we can offer everything, without sacrifice and, as an unintended consequence, ultimately disempowering the individual. When, logically, choice should be wholly individual, have resultant consequences and require sacrifice. And as HR leaders, our job is to explain and facilitate that, not try to pretend that it isn’t so. As we set about designing the organisations of the future, we should be creating environments where transparency, choice and genuine empowerment flourish, where individuals are aware and accepting of the pros and cons of their decisions. The choice that you make will be different from the one that I make and that’s absolutely fine. The challenge is to understand and be personally accepting of the compromise that we will inevitably have to make. Because we can’t be and we can’t have everything, we will always have to choose. My pleasure, thank you for commenting. Pingback: We think small actions leads to small consequences, and grand motions have the most impact. But that’s just not true.